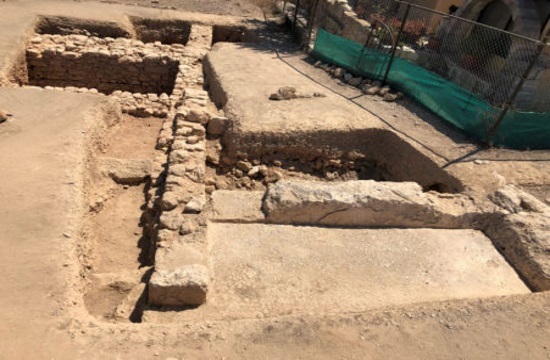 The Department of Antiquities of Cyprus, Ministry of Transport, Communications and Works, announces the completion of the 2018 excavations at Pafos-Toumballos. The excavations are conducted by the archaeological mission of the University of Catania, co-directed by Filippo and Elvia Giudice. The area under excavation is known as “Garrison’s Camp” and like last year, this year’s fieldwork concentrated on the southern part of the area, where a rocky bank (with an east–west direction) rises from the plain. 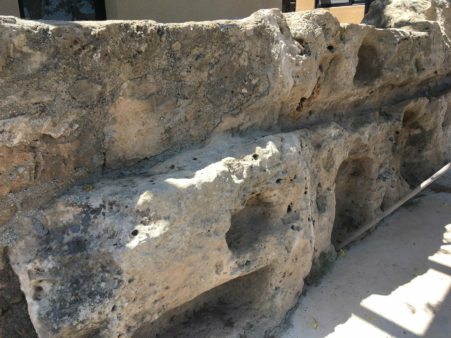 In this area, numerous niches were excavated, which probably were used to hold lamps that were offered to the deity worshiped at the sanctuary. 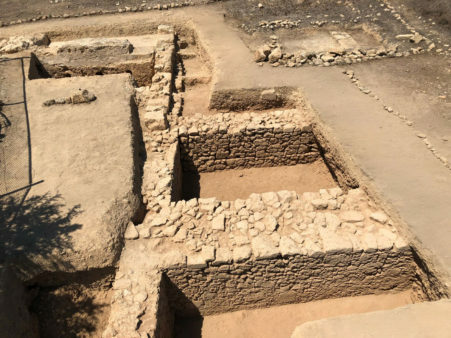 The excavations of 2013 and 2017 had revealed two walls, one with a North-South orientation and the other with an East-West one. These walls delineated the corner of a basin covered with hydraulic mortar. Two other walls that were excavated delimit two rooms of a newly discovered Early Christian house. The first room faint traces of ancient flooring comprised of compact beaten earth. Beneath this floor fragments of amphorae, small cups and a small lamp were excavated. The second room has been only partially explored and does not preserve traces of flooring. In this room a substantial layer of red earth, mixed with small stones was removed in order to reveal a considerable quantity of Late Classical and Hellenistic material (such as, black glazed Attic pottery, mugs, cups with palmette decoration, unguentaria, fragments of Oriental sigillata, amphora handles with stamps and fragments of mold-made glass vessels). 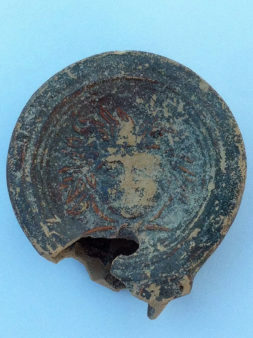 Among these finds a lamp adorned with a head with wavy hair is worth mentioning. 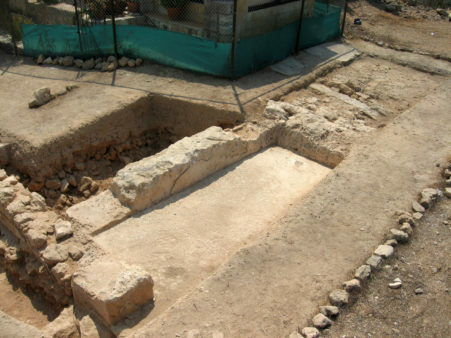 The above material constitutes further evidence of the Hellenistic and Roman periods at the site and especially of life at the pagan sanctuary, located below the Christian archaeological layers. Indeed, it is not unlikely that the entrance to the great pagan sanctuary was in this area.